Lillian Lee, an award winning stylist, and her professionally and personally trained team of make up, hair, and wig stylists will make sure that your experience at her salon is joyous, and you're absolutely satisfied with the way you look and feel. 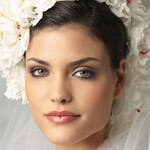 Perfect destination for all your wedding needs - hair, make-up, nails, wig styling and wig retail. 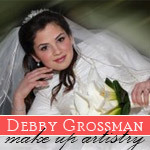 Our Upscale Salon and Spa offers an array of Simcha services including Hair and Shaitel Makeup and Skincare as well as other spa services.